Can I Rent a Dumpster for a Day? Why might you be looking to rent a dumpster for a day at your house? Well, unless you throw some really big parties, the presence of a dumpster means you’ve got a big project going on. For normal trash, your city utilities handle your waste management, so you don’t have real garbage concerns. 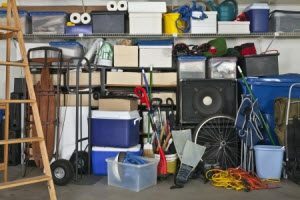 Every once in a while, though, you might want to take on a project that requires some extra tools – and that produces a mountain of trash or other waste that you need to remove. Whether it’s related to the lawn, remodeling, or another big home improvement project, you might need to know when and how you can rent a dumpster for a day. Is Renting a Dumpster for a Day a Thing? Of course it is! In fact, many homeowners find that they need extra dumpster services at least once a year. The good news is that rentals range from hourly to 21 days or longer, so no matter what you have in store, there is a rental period to match it. It’s still always best to plan ahead. Same-day rentals aren’t always available, but more importantly, you want to make sure we have the exact storage you need. Dumpsters range in size and function, so it’s best to talk to one of our experts and make sure we’ll have the right dumpster for the right day. What Should I Know Before I Rent a Dumpster for the Day? Wet Paint: Once you dry it, then we can take it. Adding a little kitty litter to the bucket can speed this up a lot. Gasoline: This might seem obvious, but we’ll point out that it includes other petroleum products like motor oil. Propane tanks: Whether or not they’re empty, they can’t go in the dumpster. Most vendors who sell propane can recycle old tanks for you. Car Batteries: These are deemed hazardous. Other comparable large batteries fall into this category too. Chemicals: If you aren’t sure if what you have is safe, just ask! Chemical waste is federally regulated, so we’ll be happy to help you avoid dumping something you shouldn’t. Hazardous Materials: This is the generic catch-all that finishes the list. Like we said above, any time you aren’t sure we’ll be happy to take your questions. How Hard Is it to Rent a Dumpster for a Day? Our goal is to make the process as fast, affordable, and easy as possible. If you give us a chance, we can help you pick the right dumpster, plan for delivery and removal and make sure it isn’t on your property any longer than you need it. With a simple click, you can get pricing on dumpster rentals for homeowners.